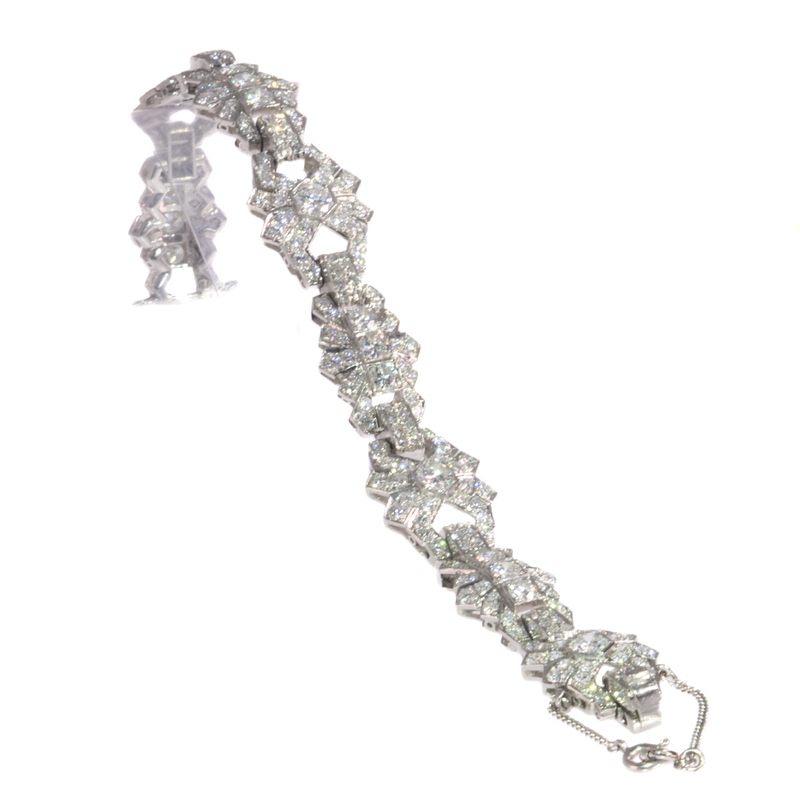 Vintage platinum diamond bracelet Art Deco style made in the Fifties: Description par door Adin Bijoux Anciens. Four brilliant cut diamonds with an estimated weight of ± 1.68ct. 188 modern brilliant cut diamonds with an estimated weight of ± 9.28ct. 64 single brilliant cut diamonds (also called 8/8) with an estimated weight of ± 1.28ct. Total diamond count: 256 pcs. Total diamond weight: approx. 12.24 crt. with an average colour and clarity: F/H, vs/si.